Looking to make your home a little smarter? Smart home projects range from basic to extremely advanced. If you’re just looking to get started with some home automation technology, these smart home project ideas will keep you busy if you’re a beginner. 1.1.1 Set your coffeemaker (or grill, or fan, or…) on an automatic schedule. 1.1.2 Smarten up your sprinkler system. 1.1.4 Monitor and secure your internet. 1.1.5 Automate everything with a hub. 1.1.6 Track your weight, BMI, and bone mass with a smart scale. 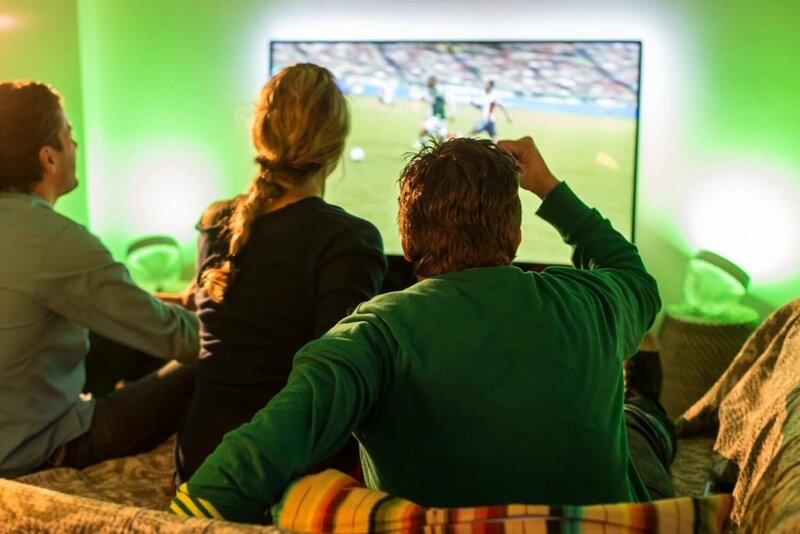 1.2.2 Illuminate walls with colorful, smart lighting. 1.2.3 Set up voice-controlled light bulbs. 1.2.4 Get inexpensive motion-detection lights. 1.2.5 Use light strips to illuminate furniture. 1.3.1 Regulate your home’s temperature better. 1.3.2 Have your thermostat turn itself down when you leave. 1.3.3 Connect your thermostat to your lights. 1.4.1 Download a free home monitoring app. 1.4.2 Monitor air quality and security in your home with one device. 1.4.3 Automate your alarm so it arms when you walk out the door. 1.4.4 Hide a security camera. 1.4.6 Ditch your keys for keyless door entry. 1.4.7 View your cameras on the TV. 1.5.1 Use a camera with a laser to play with your pets while at work. 1.5.2 Get a super cheap pet cam. 1.5.3 Feed your pet with a smart feeder. If you’re just getting started with smart home technology, you’re probably feeling overwhelmed by all of the options. It doesn’t take much research to begin stumbling over smart home lingo that doesn’t make sense for the average beginner. 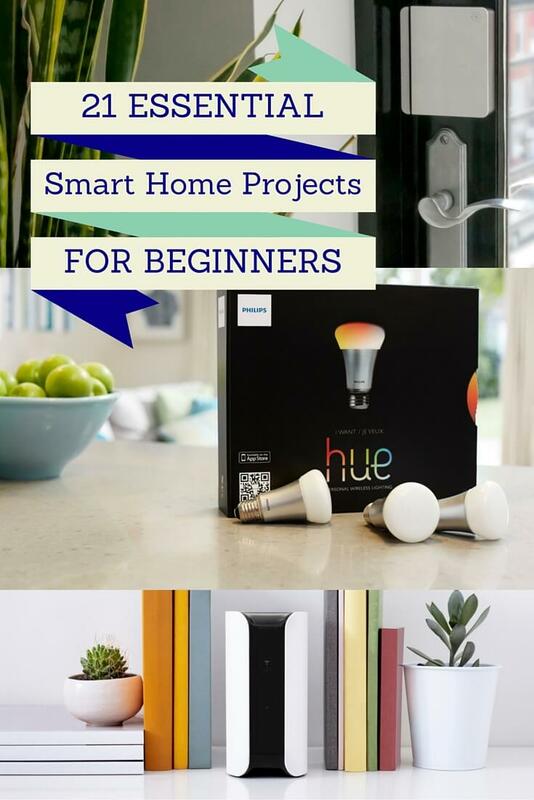 However, there are plenty of projects that you can get started with, even if you are completely new to smart home tech. We originally published this article with 21 ideas, but since then we have expanded and added more ideas for beginners. These are categorized below to help you find a project that matches your dream smart home. Browse through our list to discover an idea for getting started! Set your coffeemaker (or grill, or fan, or…) on an automatic schedule. 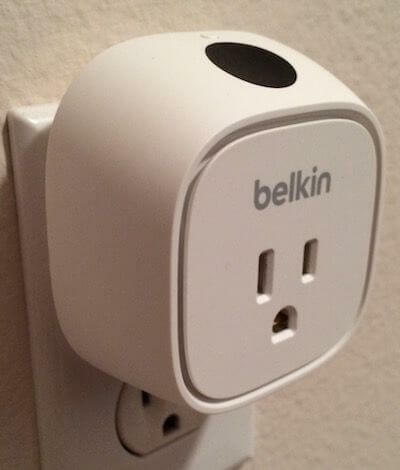 Use Belkin’s WeMo Insight Switch to automate anything that plugs into an outlet. This lets you control a lamp, fan, Christmas tree, or other small appliances with your phone using the WeMo app. 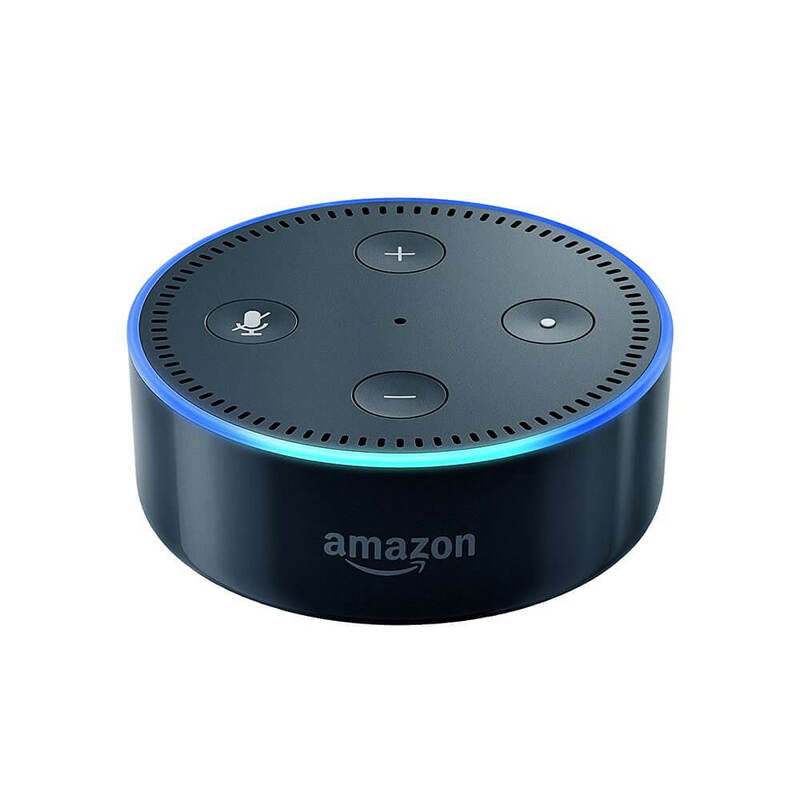 Set your devices on a schedule to turn on at a certain time each day, or connect them with Alexa for voice controls. You can also see how much energy certain products use to figure out where your energy bill is going each month. Smarten up your sprinkler system. 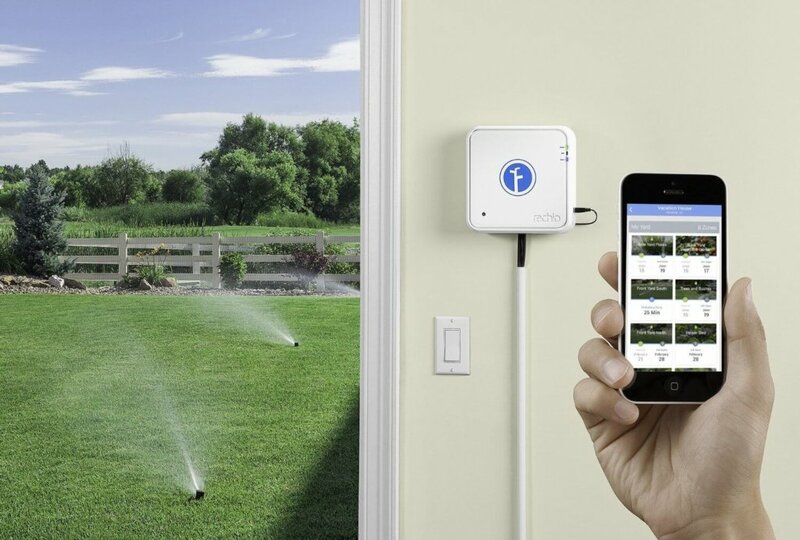 It’s the most popular smart sprinkler system available, and it works with Alexa, Nest, Wink, IFTTT, and others. It makes scheduling and adjusting your irrigation system much easier. If you’re asking why you would need a smart sprinkler system, then think of it this way: if it’s raining, Rachio will delay its watering schedule, so you’re never watering your lawn in a rainstorm. In other words, Rachio is one of those smart home devices that eventually pays for itself, while making your life easier. 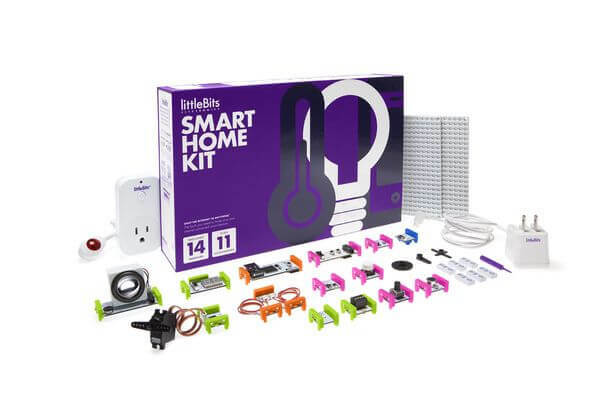 If you’re looking to work in some STEM education with your kids, you’ll want to check out the littleBits Smart Home Kit. You can use it to build your own garage door monitor, bark tracker, laundry alert, or literally anything else you can imagine. Yes, this might be marketed towards kids, but we are all kids at heart, especially when it comes to smart home projects this cool. Monitor and secure your internet. Dojo is completely dedicated to cybersecurity in the home. It monitors your Internet to tell when something is different, such as a hacker trying to get into the system. It alerts you with in-app chat messages to help you squash any threats before they get into your network. How is this not already in every home? Automate everything with a hub. 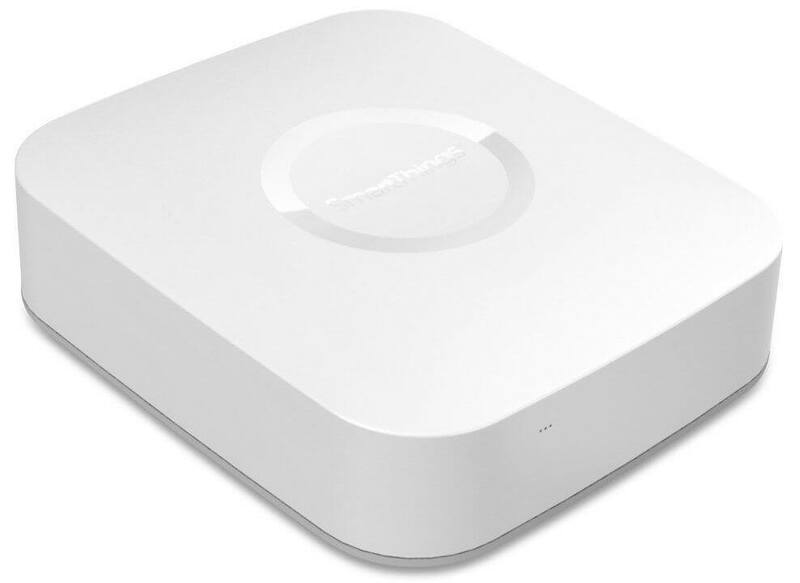 To take your home automation to the next level, you will want to purchase a hub, such as SmartThings (check out some of our favorite SmartThings ideas here). This is a small square device that plugs into your router. Compatible devices communicate with your hub, which connects them all to the internet. This makes for a better connection. It’s also easier to control these devices using a hub, since you can manage them all within the same app. So when you leave home, you can easily have your lights turn off, your thermostat turn down, and your front door lock. Using a hub and smart home devices that are compatible with that hub, it is much easier to create these kind of automations. Track your weight, BMI, and bone mass with a smart scale. 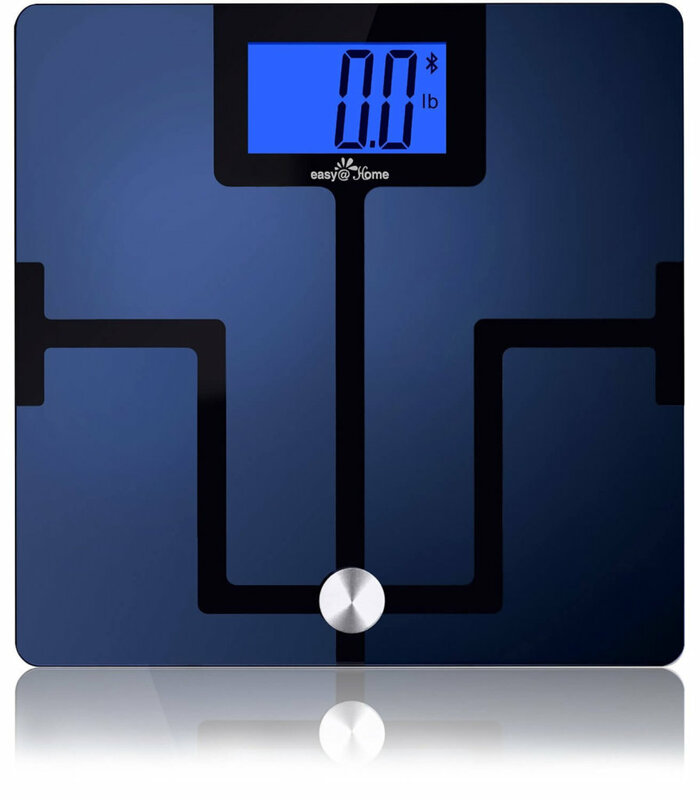 Fitness lovers and those looking to lose weight should get the Easy@Home Bluetooth Smart Scale. Track your progress via the HealthKit app in the iPhone. Data can automatically import into MyFitnessPal, a popular app for fitness that will motivate you towards health by working with friends and family. Using in-app scheduling or the third-party app IFTTT (If-This-Then-That), it’s super simple to have your smart lights turn on everyday at 8 p.m., or when you walk in the door using motion sensors. If you feel like getting creative, have them flash your favorite team’s colors after a touchdown. LIFX and Hue are great, inexpensive bulbs to get you started with scheduling. Illuminate walls with colorful, smart lighting. Lighting determines the entire ambience of your home. Philips Hue Bloom is a small lamp designed to point up and illuminate walls. It can make your home’s vibe whatever you want it to be: exciting, relaxing, or anything in between. Set up voice-controlled light bulbs. Using Alexa or Google Assistant and compatible smart light bulbs like LIFX, you don’t have to fumble through a million apps on your phone or walk across the room to turn off the lights. Voice commands are easier than ever. The new Echo Plus 2nd gen also works as a ZigBee hub, allowing you to control ZigBee lights without an additional hub like Wink or SmartThings. The ZigBee protocol means you can extend the range of your lights and purchase inexpensive lights to outfit your home with compatible lights that aren’t expensive. You may be shocked to know that you can get motion detection lights for under $20. 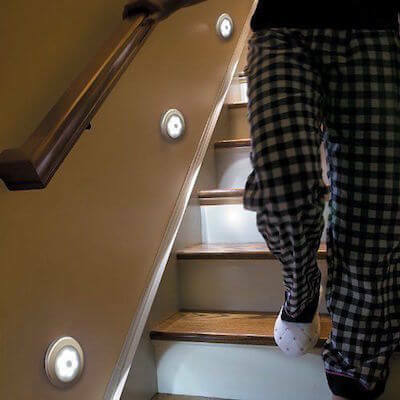 XYMO’s battery-operated, LED motion-detection lights are perfect for stairs, restrooms, or other areas that need illumination at night. These aren’t technically “smart” since they aren’t connected to the Internet. For those, go with SmartThings sensors and compatible bulbs or light strips. When motion is seen in front of the sensors, the lights can turn on automatically. Use light strips to illuminate furniture. This is one of my favorite smart home projects. Light strips add an entirely different dynamic to your home. 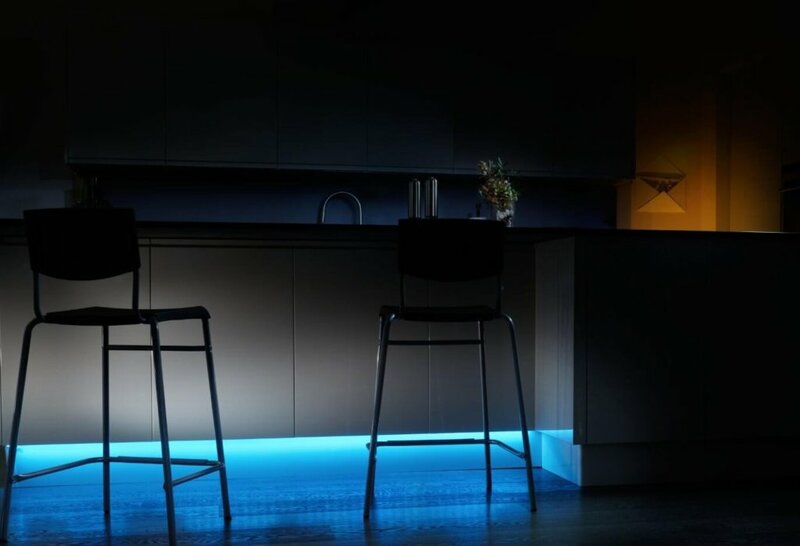 With colorful, smart light strips, you can accent the unique features around your home with colors to match the mood: yellow in the morning to energize you, and cool blue in the evenings to calm you for some shut-eye. Make sure you check out our popular light strips video for some of our favorite light strips and tips on how to install them in your home. Regulate your home’s temperature better. 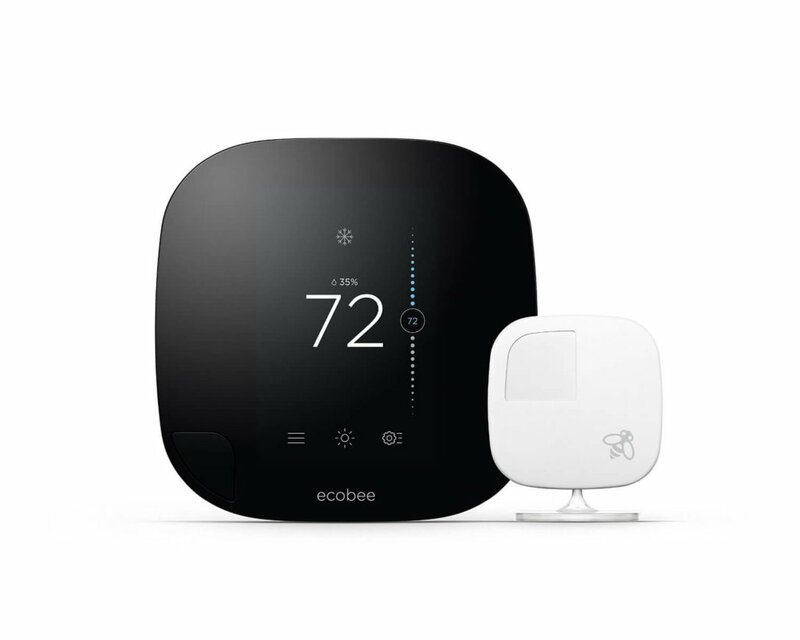 With a smart thermostat like Ecobee3, you can install sensors in each room of your home to monitor the temperature and automatically adjust the energy usage for each room. This is a great smart home solution to that annoying cold room in your house that usually requires several blankets. Nest also sells a temperature sensor now, and we compare it with Ecobee’s in this article. Have your thermostat turn itself down when you leave. One of the best energy- and money-saving features of smart thermostats is their ability to adjust based on whether you are home or away. Nest uses Home/Away assist to track when you leave home and automatically adjust itself. This feature will save you energy and money. Other smart features including notifications for if your home gets above a certain temperature, and the option to adjust the thermostat remotely with your smart phone. Connect your thermostat to your lights. 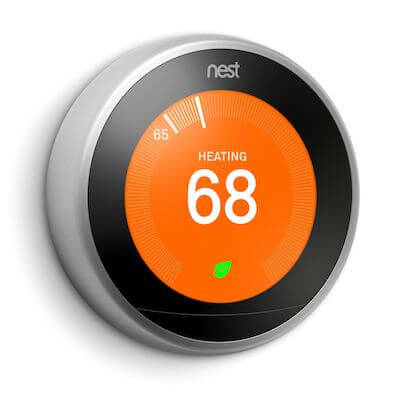 Once you teach your Nest Learning Thermostat your schedule, it can control more than just your home’s temperature. Connect Nest with Philips Hue lights so that when your thermostat is set to away, it tells the lights to turn off via IFTTT. Download a free home monitoring app. How does a completely free smart home project sound? Manything (Monitor Anything) is a free app that can turn a tablet or old phone into a security camera. You can even set up motion alerts and detection zones to get notified when movement happens in a certain area. It’s completely free, with optional upgrade plans for cloud storage. They also sell phone stands to hold the device in place. Monitor air quality and security in your home with one device. 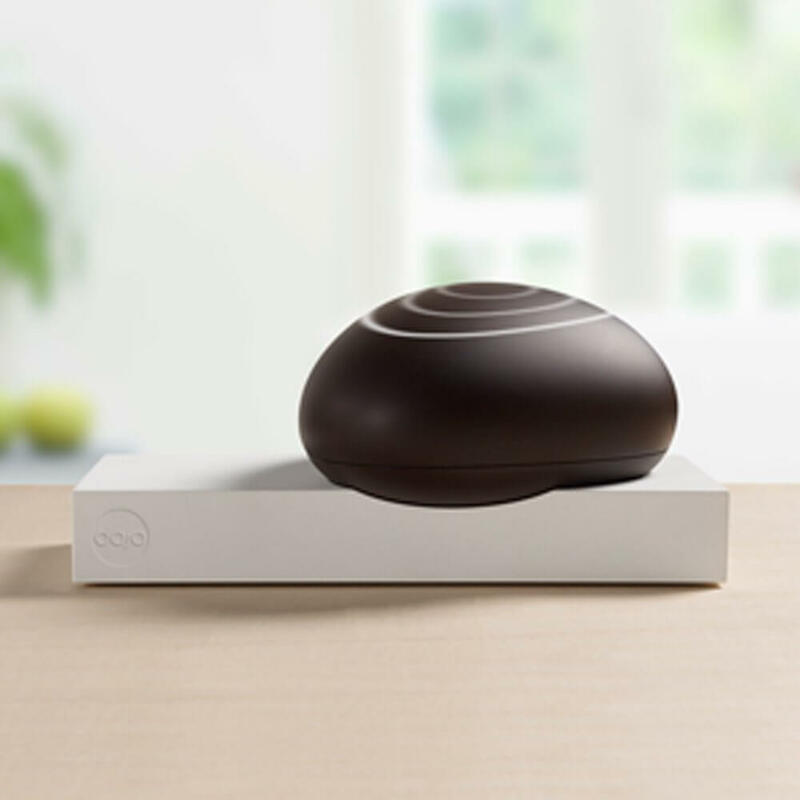 All-in-one home monitoring devices like Canary do much more than just monitor movement. Canary uses HomeHealth to check for gasses in the air. Piper monitors humidity and temperature. Both have 90+ decibel sirens to scare off any intruders, making them more like security systems in some ways. Automate your alarm so it arms when you walk out the door. 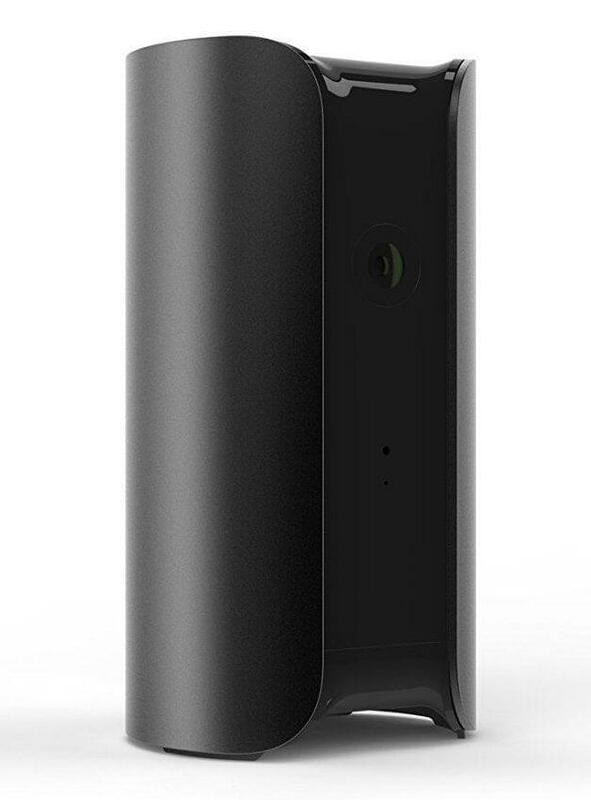 Scout home security system monitors doors and windows and is easy to self-install. It also works with IFTTT to automatically arm when you leave for work. Other security systems to look into are SimpliSafe, Nest Secure, and Ring. There are lots of reasons you may want to hide a security camera to see what really goes on at your home. One reason is to deter thieves from stealing or destroying your cameras; if they are installed in plain sight, it’s basically inviting them to smash it. 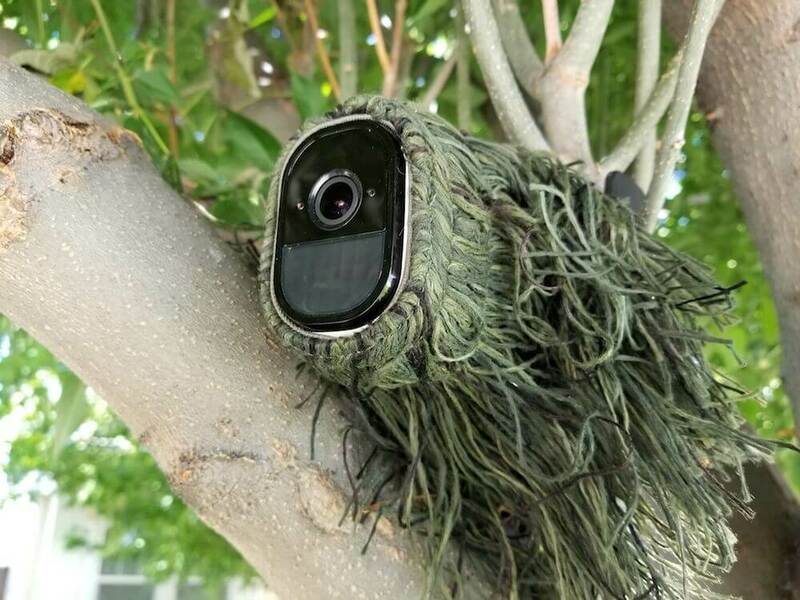 We compiled the best ideas for hiding a security camera either indoors or outside. It’s easier than you think! You can’t stare at your security camera all day. That’s why setting up motion alerts is critical. Whether you’re making sure your teenager isn’t ditching class, or keeping an eye out for intruders, you can receive a variety of alerts including email, phone calls, notifications, and anything else you can think of. 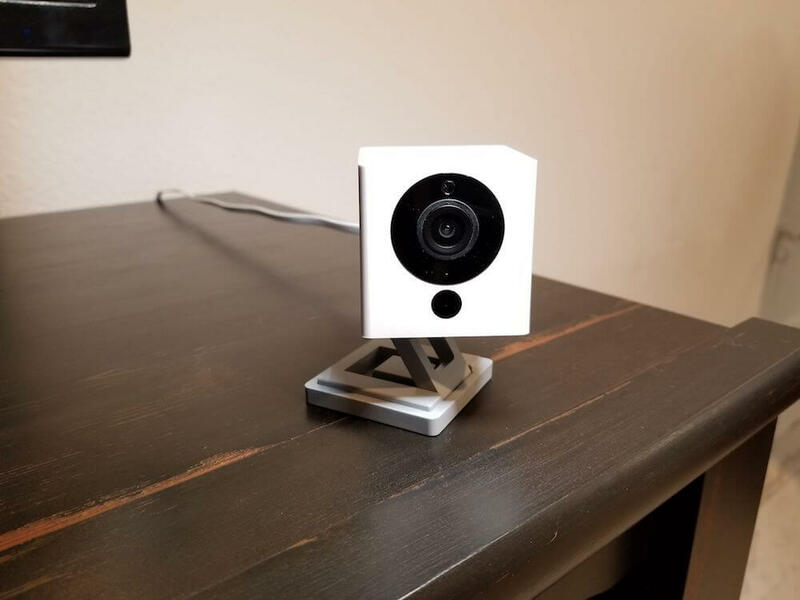 Even some of the cheapest security cameras have motion alerts, but you can compare all your camera options here to find the best one for your budget. Ditch your keys for keyless door entry. With August smart locks, you don’t need to fumble through your bag to find keys to unlock your front door. 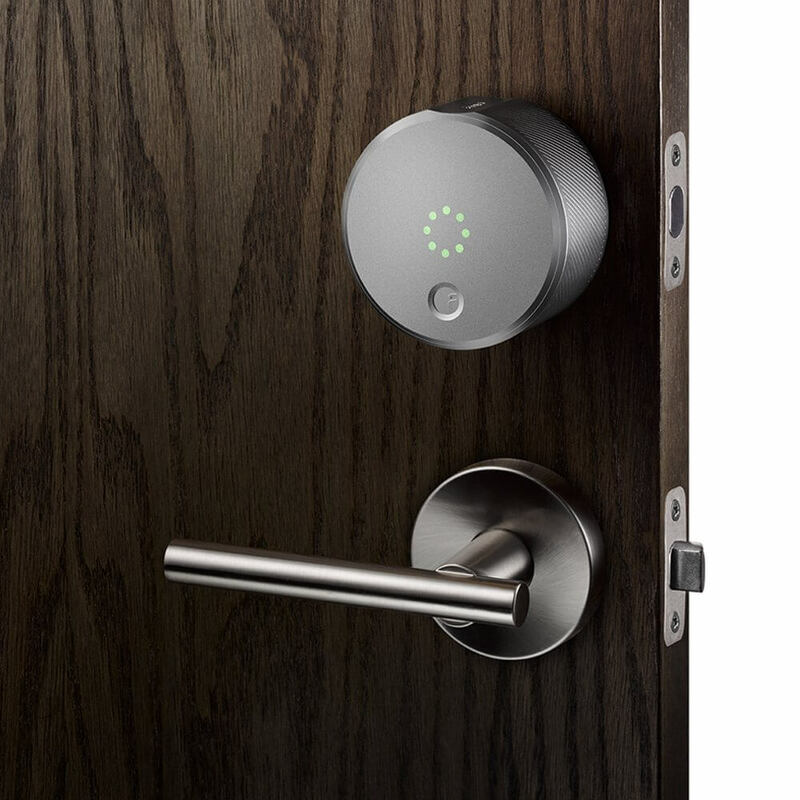 The smart lock replaces your current deadbolt and gives you complete control over who has access and for how long. It also can unlock when you walk up to the door for super easy, yet secure entry. View your cameras on the TV. This is a great way to check who is at the front porch, how the baby is doing in her crib, or what that creepy noise was in the backyard. Plus you can do it hands-free on your TV’s nice big screen, so you don’t have to worry about digging up your phone. Use a camera with a laser to play with your pets while at work. Yep, this actually exists. If you’re wanting to entertain your pets while you’re at work, Petcube Play has as built-in laser pen as a perfect smart home project for you. It can get your cat or dog running laps around the house for hours. You can control the laser or have it run automatically for effortless entertainment. 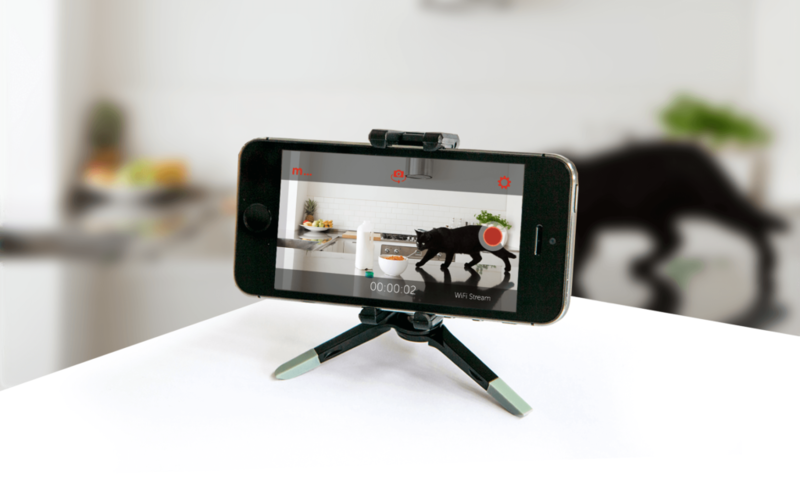 Get a super cheap pet cam. When you’re just watching your dog during the day to make sure they don’t destroy your home, a simple, inexpensive camera will do the trick. 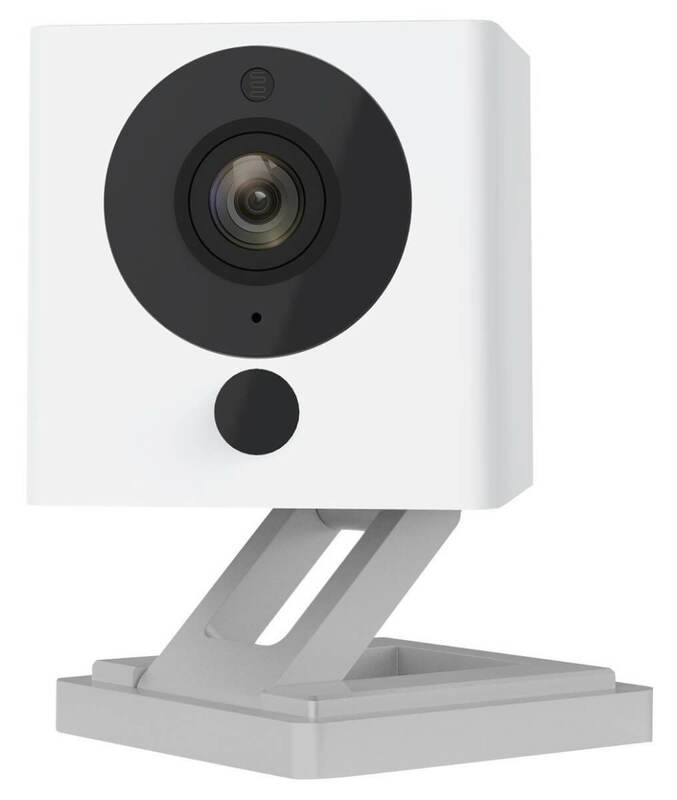 The Wyze Cam is a great example of a cheap camera—it’s just $25. Feed your pet with a smart feeder. I still haven’t decided if this is the greatest invention of all time or completely unnecessary, but either way it’s pretty awesome. 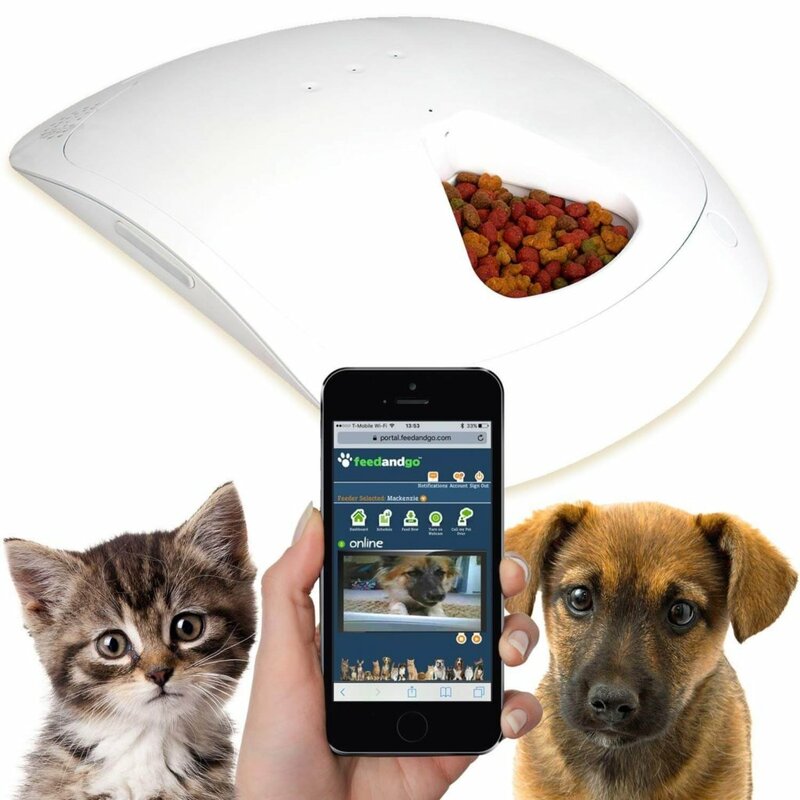 Smart pet feeders take the guesswork out of feeding your pet by tracking the calorie intake. The Feed and Go feeder has individual feeding compartments to provide a little bit of food at a time for your pet. It even has a built-in camera to watch your pet munch away, if your day job really is that boring. What’s your favorite simple smart home project? Comment below and maybe we’ll feature it in our next blog!